Embed "The 2009 Data Day Conference With Dr. Herculess Pinkney, Interim President Montgomery College, Gives His Welcome" on your page. Embed "The 2009 Data Day Conference With Altaf Shaikh, President & CEO, Listengage.com" on your page. Embed "The 2009 Data Day Conference With Bhavesh Naik, Sandler Sales Institute, Ambica.net" on your page. 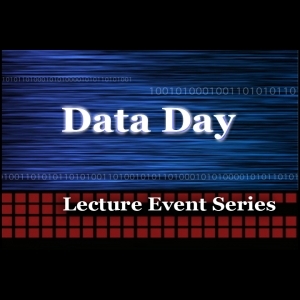 Embed "The 2009 Data Day Conference With Keynote Speaker: M. H. "Mac" McIntosh, CBC" on your page. The 2009 Data Day Conference was held in Globe Hall in the HSTC Bldg at the Germantown Campus. Conference consistaned 6 lectures. This lecture is with Parthiv Shah. Embed "The 2009 Data Day Conference With Parthiv Shah, President & CEO Elaunchers.com" on your page. The 2008 Data Day Conference was held in Globe Hall in the HSTC Bldg at the Germantown Campus. Conference consistaned 6 lectures. The second one is with John Korpela Mont. Co. Dept. of Econ. Develp. Embed "The 2009 Data Day Conference with John Korpela, Montgomery Co. Dept. of Econ. Devleopment" on your page.